A year in which a StarCraft game is released is going to be an easy one to predict my favourite game in. That sounds like the most egregious form of pre-awarding imaginable (and I suppose now’s the time to mention I haven’t played The Witcher 3 yet), but when a company so constantly puts out games of the quality that Blizzard does – and they’re in the midst of making sequels to a game I grew up with as the only ones doing real, big-budget work in that genre at all – it’s kinda inevitable. There are other strategy games, of course, but they aren’t as good. 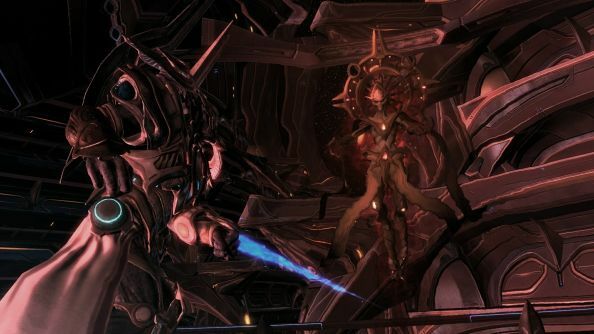 I’m not even a multiplayer guy – in fact, anyone with the misfortune to follow me on Twitter will know I spend a ridiculous amount of time in existential crisis over comparing StarCraft II with its late-’90s predecessor in terms of e-sports worth. As such, the campaign is what holds such high value for me, and every couple of years I get this 12-hour slice of brilliance. Varied missions with exciting and unique units and mechanics. A continuation of the ridiculous space opera plot. Progression systems tuned to within an inch of their lives, rewarding experimentation, personalisation, and spitting out fun at six joys a second. Let’s not forget Blizzard’s cinematic team. It’s almost cliché to praise them now, but StarCraft has been their haven for some time. It’s the game series they’ve dedicated the most time, effort and output to, not only with Pixar-quality fully-rendered movies but also the dozens of between-mission in-engine cutscenes. There is not a team in games better at storyboarding, constructing, casting and voice directing space-men going about their space-lives, never mind the sheer beauty of the things, the one element of Blizzard’s output that nobody is interested in ripping in to. 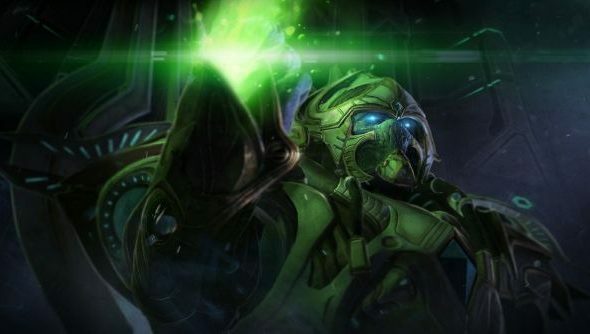 All of this is particularly true with Legacy of the Void, a game where you can see Blizzard pulling out all the stops for what could be their last boxed, single-player game for some time, possibly ever. Missions are as tight as they are faintly ridiculous, always letting you enjoy some new unit or ability to its fullest while it rains scale, pomp and circumstance on you. It never lets up, blowing up worlds here, annihilating whole species there, every single scenario infused with importance – win, or everything is doomed. As a fan of sci-fi, even as corny, played out and silly as it can get, I can’t help but adore it. As a lover of strategy in general and StarCraft’s brand of huge armies, fast deaths and micromanagement in particular, I don’t think there’s anything better. A tour de force of what the format can do, from the only company still able to pour resources into it. A call back to when it was the genre of the hour and a reminder that good game design doesn’t mean a series of skirmishes or poorly tied together commando operations – that there’s room for intense variation in every new map, even while keeping the tenets of base-building and resource-gathering. And then on top of that they ship one of the most highly skilled, impossible to master multiplayer games in the entire world. In an age where every e-sport you can name is moving further and further away from even bothering with a single-player component, Blizzard manage to put out one of the best of all time while maintaining a pro scene for one of the few 1v1 games in the world. Dominated by Koreans and with many a natural disadvantage to its MOBA and FPS brethren, StarCraft still puts up the viewer, prize and competitor numbers to stay relevant, even if its day at the top has past. It is a spectacle of the highest order, one where I know that even the basics are far beyond my capability. 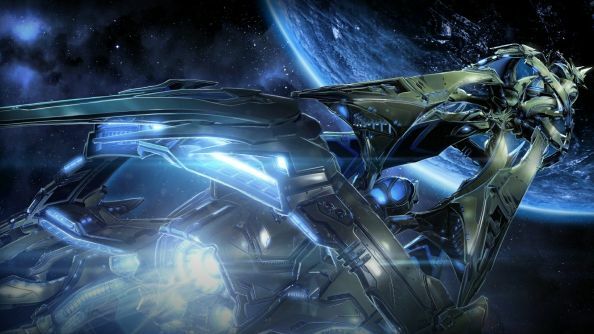 StarCraft, quite simply, is everything I’m into in one omni-polished package. It is made for me to play, to watch, to wax endlessly on about, and most importantly to enjoy. That’s why it’s my game of the year.